Going to a Nashville recording studio and producing your project at a professional level can be a big investment. It’s essential to know what to expect before you decide to seek the services of professionals to help realize your music dream. 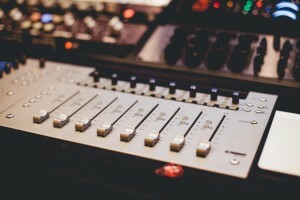 One question people commonly ask is about what they would have to pay in case they decide to go to a Nashville recording studio for their work. Contrary to popular belief, though, there is no simple answer to that question. Here are some of the most important questions to ask when researching recording studios and record producers. 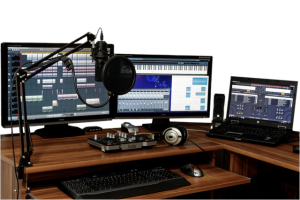 This may sound fairly intuitive, but the main determinant of what you will have to pay for the services of a recording studio is what exactly you are looking for them to do. If you are new to the recording world and are looking to complete a basic demo recording of yourself and your instrument or backing track, rates could range from under $100 to a few hundred (per song) depending on the quality of studio and whether it is a “demo factory” or commercial facility. Maybe you are an seasoned artist with some recording experience, and looking to take the next step in your career with a “master” quality recording. In that case you should expect to budget in the thousands. If you are creating a “full-band” it is also important to decide whether you have players that your trust to play on your record, or if you want to rely on the producer to hire your studio musicians. I believe the most important aspect of the process is defining what you will be using the recording for. Will your music mainly be sold at local shows, on a major tour, or through online distributors. 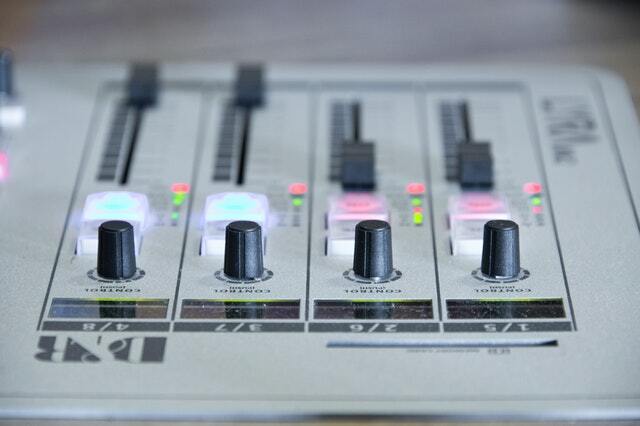 Are you planning to promote your record to independent or mainstream radio? Are you confident with your creative direction as an artist? Or are you looking for a producer to help you discover that in the process? The answers to these questions will help you define, from a business aspect, what a reasonable investment is for your project, and what type of recording studio is the best fit. 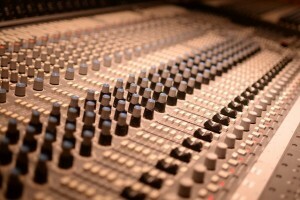 Generally, recording studios charge depending on how much time you spend in the studio. 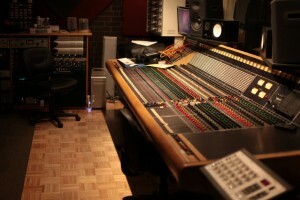 Most recording studios also offer packages for creating a complete album. These can include recording, mixing as well as mastering. Generally, studios will offer a discounted, project rate when combining services. 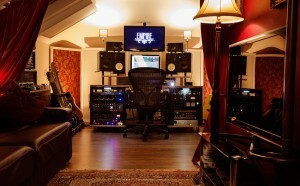 Most studios will require a deposit to secure your scheduled session time. Some studios offer an option to pay as you go, and others may provide payment plans and financing. It is very important to determine when payments will be due in order to budget properly for your project, and not get stuck with something half completed. The best recording studio rates are not always the lowest prices in the market. Nor are they the most expensive. It is important to find a balance between who you feel most comfortable with to capture the vision of your project, and who can do that within a budget that is realistic. Go out and talk to many different recording studios. You are sure to find a range of prices. However, it is pretty easy to tell what you are going to get for your investment if you ask the right questions. Find out what projects the studio has been working on lately. 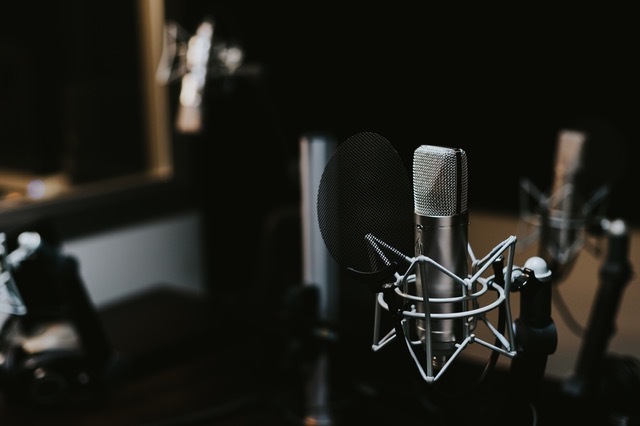 Ask to hear some recent recordings that were produced at the facility, with a similar budget that you have, and by the same crew as you will be working with. Learn about their creative process, and what to expect in each phase of production. Ask if you can speak with other clients, similar to yourself, that the studio has recently worked with. Once you survey the market, you will have a better understanding of the different types of studios that are available and the costs associated with them. Finally, go with your gut and don’t get sold on the, “we make hit records and can make you a star” pitch. With the proper research and careful consideration the decision will be easy to make. 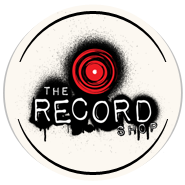 If you would like a quote from The Record Shop, contact us and we can discuss your project in detail to find the best option that fits your individual needs. Making music today involves a lot of advanced techniques and instruments and use of reverb is one of the significant parts of the process. Reverb is created using the reflection of sound repeatedly to give a complex sound pattern and it is needed to add the space sense in the voices recorded by close mic recordings in the studio. Due to the complex natural process, artificial reverbation is added to the recordings. The part of choosing the right reverb for different instruments can be crucial as it can affect the quality greatly. The kind of space that you want to recreate or emulate is an equally important concern. Natural room based reverbs also need attention for the material of the walls. The first step is to think about the kind of music and song for which you are looking for a reverb. The tempo, lushness and wetness of the song have to be considered too. For a vocal reverb, you have to also consider the rhythm of the track as it has to be in sync. For jazz music, convolution reverbs are generally preferred where as synthetic reverbs are suitable for pop music. For different instruments like guitars, usually plates and springs are popularly used. Choose according to the size of the place you want. Be aware of the monitors, acoustics and headphones that you want to use for the right balance. Equalization with the effects have to be carried out intelligently too. If you keep in mind these things, it can help you reverb suitably. ‘Synthesis’ means process of making something new and sound synthesis is a kind of Music Technology for generating sound. This electronic instrument creates or imitates a sound using software or hardware. It has various components that help in creating the sound by shaping electric signals. A synthesizer generated sound waves of various shapes and can generate many sounds at once to produce harmonics. It can make new sound or imitate some musical instrument like bass or any natural sound too. A sound synthesizer contains a voltage control oscillator, filter, amplifiers, modulator and envelops. These create the waveform and change different characteristics of sound like volume, pitch etc. Synthesizers have revolutionized the whole music making and hardly any record today is made without them. 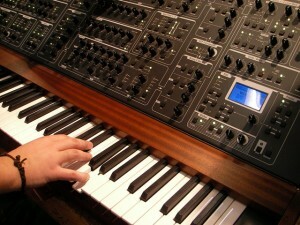 Synthesizers are widely used today in music composition using digital computer and for live performance. You can use the synthesizer to their full potential by doing everything with one synthesizer and this will help in creating refreshing sounds. The synthesizers generally have stereo output and you can record by simply plugging your synthesizer directly using the inputs and adjust the volume. You can also record through an analog preamp as using a preamp can give you the full sound you want. You can plug your synthesizer into the guitar amp and this will add depth and colour to your music mix. 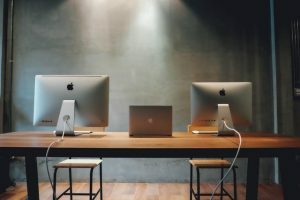 Apart from these techniques, try to learn how to program. You can then use subtractive, additive, wavetable and FM synthesis etc. to create the best music from synthesizers. For a track producer, it is always a challenge to pitch your songs to the artists and publishers. But with a little technique and tips, you can get the job done easily. You have to keep in mind a few things while talking to the artists on the subject. The most essential thing is that your song should be easy to learn so that it strikes a chord with the listener’s mind. An easy song with simple choruses will be easier to sing and this can easily create the interest of the artist. Try to put the artist in a positive light while singing the song. When our interest is consistent with the artist’s reputation and name, the song can b easily pitched. The song should be viewed from a special perspective so that the artist could feel it as a fresh creation that he should try. In case the publishers or artists are new, you could even try to get into collaboration with the artist so that the future could be secure too. You should always strive for creating a relationship with the artists and publishers. This will ensure that your work goes into the right hands. If you target huge publishing companies, they might not feel the worth and need. Hence, the writers initially achieve the success with small publishing firms. 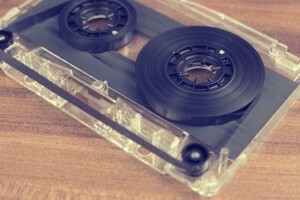 You can pitch to the publisher with smaller song catalog who could appreciate your tracks. So this is article is all about How can a track producer pitch tracks and songs to artists and publishers? If you want to use the sampled music of someone, you require the permission of the owner and this is called as Sample clearance. Sample clearance can be tough and expensive but it is extremely important. It is of two types. First is the clearance from the copyright owner of the music and second one is the company who is the copyright owner of master tapes. In order to avoid the copyright infringement issues, we need to make sure of these permissions from the authorized people. Both types of owners are generally the musicians, publishers and the label companies. Hence the first task of clearance to trace the owners of the music and start getting the legal permissions. When you search for the copyrighters, you can take the help of the organizations like BMI (Business Music Incorporated) and ASCAP (American Society of Composers, Authors and Publishers). These organizations generally are responsible for the performing rights and hence their database contains the indexing for the song. Once you find the publishers and the record companies, you need to get their permission by paying appropriate price for their work. There can be negotiation as per the norms and there are clearance consultant and attorneys for your help too. If you want to use a great sample, make sure you follow the process. Working in a studio actively on consistent sessions requires serious time management for the engineer or producer. It might look like a trivial thing but following a schedule can help you greatly to execute your work plans efficiently. Otherwise it could turn into a mess and you might not be able to deliver on time. Poor time management may result into disrupting your health and personal life too. Here are some tips how to manage time as an active engineer and producer. There are certain time management strategies that you can follow to effectively manage your time. The situation can be such that you find it hard to find a balance between your running sessions and answering emails and calls. Another problem may be finding it difficult to manage time for your personal music and networking with others which can be crucial in the music world. For this also, you might set up a weekly schedule that you can follow strictly. For this you need to work out or plan you day in advance so that you get time for your job easily along with eating, sleeping and time for family. Once you have worked out the day with how much time is needed for every activity, it will become a lot easier to make time for your self. Try to go for as much as automation as possible like scheduling Facebook and twitter posts. You can respond to emails once or twice a day at a specific time while doing some other online work too. Be concise while writing and it will help in effective communication too. Consider your time valuable enough and you will be surprised to see that it works out just fine. Etiquette in a studio is almost as important as your behavior at your show. It has been seen that discipline and proper rules can make your work easy and amazing. All great musicians followed proper decorum and rules while working leading to smart work and positive experience for everyone involved. This would help in making everyone comfortable and help you do the same at your performance. There are certain rules for how to behave inside the studio space, how to act during the session and of course how to treat the engineer and other people at the place. First of all, it is very important to keep your mind open to new ideas and respond to everyone’s suggestions positively. In case of any doubts, discuss and resolve for getting the inputs of artists, directors and engineers. Also, be respectful to the peers and seniors to receive guidance properly. Try to avoid using cell phones while working. This will help you concentrate and respect the work as well. Also, if you are a guest, ask for permission while using or eating anything. Try to keep the fluids away from the studio. Try to be as punctual as possible. In case you cannot make on time, reschedule the appointments. Keep the studio clean always. Avoid throwing the gears like microphone, headphone and cables etc. around and keep everything in order. Keep the monitors, plugins etc. clean and assorted. Avoid talking too much while the engineers are working and listen carefully. Above everything, a positive attitude and a feeling of admiration for all will maintain your studio’s decorum perfectly.